O.M.G. Omg. Omg. Omg. If you’re ever going to make a recipe from this here food blog, it should most definitely be this Lemon Lava Cake Recipe. 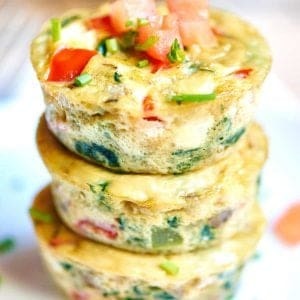 . .
Or these Thai Peanut Noodles or Healthy Egg Muffin Cups or. . .
Ok. There are a lot of recipes that I think you should make, but I’m seriously, seriously, SERIOUSLY loving this Lemon Lava Cake right now. Watch the video below and you’ll see why. It’s ooey. It’s gooey. It’s decadent without being too heavy. It’s lemony, chocolatey, sweet, melty perfection and I can’t stop drooling about it. Originally, I wanted to make a milk chocolate one, but helloooo it’s summer, and summer = all the lemon things. And lemon is meant to be paired with sweet, creamy white chocolate, so here you go: a White Chocolate Lemon Lava Cake. Who actually has the same size ramekins as everyone else?! So. Many. Ramekin. Choices. So to solve the problem of going out and buying ramekins, or trying to figure out how many ounces your ramekins are, I decided to make this Lemon Lava Cake in a jumbo muffin pan (the cavities each hold about 6 oz of water)! Before I actually made homemade lava cake, I assumed, because it looked so fancy and decadent, that it would be really hard to make. Boy oh boy was I wrong. It’s actually surprisingly simple to make! Melt white chocolate and butter together until smooth and creamy. Whisk in powdered sugar, whole eggs, egg yolks, vanilla, lemon juice, and lemon zest. Then you’ll pour the batter into your prepared (buttered) muffin tin and bake ’em for about 15 minutes. THAT’S IT! Seriously. How easy was that?! Now. Here’s the hardest part. Once the Lemon Lava Cake has baked and cooled for a few minutes, you need to run a knife along the outside of the cakes and then flip them over by placing a cookie sheet on top of the muffin tin and flipping it 180 degrees. Before you bake these, you’ll ultra butter the tin, so they should come out pretty darn easy. Then you’ll top them with a little powdered sugar, because, um, why not, and then top them with fruit and maybe a little whipped cream… or better yet…ICE CREAM. OMG. The result is an ultra buttery, tender perfectly lemon cake with slightly crisp edges, and the most decadent, ooey, gooey, melty white chocolate-y center. What lava cake flavor should I make next?! I’m obsessed. Show Me the Yummy! 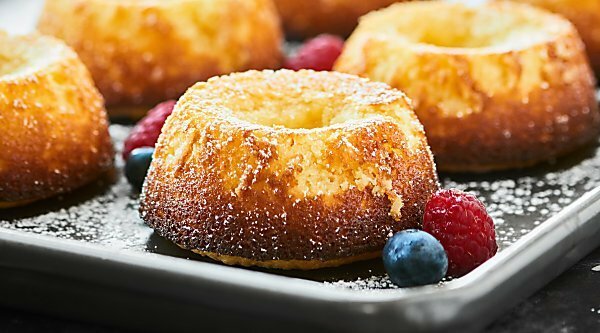 An ultra tender cake with slightly crisp edges and a perfectly white chocolate lemon-y molten lava gooey center, this Lemon Lava Cake is surprisingly easy and so decadent! Jennifer, my mouth is watering! These look so dainty and delicious. Definitely going to have to try these. sold on anything that’s gooey and has a molten center (: and i love that this has lemon; i’m loving tarter, brighter flavors now that it’s summertime! Me, too Heather!! Thank you so much! This looks too good! Do you think I could make this in a regular bundt pan? Otherwise I only have a regular (not jumbo) muffin tin. Can’t wait to try it! Hi Lisa! I don’t think this would work in a bundt pan. I’d suggest using a regular muffin tin, but keep an eye on them, as you’ll have to reduce the baking time. The tops should be nicely browned, but the cakes will still be a little jiggly 🙂 Let me know!! OK, you have my attention! This looks great. I’ve had little chocolate lava cakes before, but never lemon. Wow. This looks like lemon heaven! I’ve never eaten any type of lava cake. I always felt some sort of way eating melty chocolate oozing out of cake but lemon ooze, I can so do! These look so pretty! Lemony, fruity and cakey! Yum! I know it must’ve been good. They look too pretty to even eat! In the unlikely event of leftovers, how would you recommend storing these? Hi Jennifer! I’d store them in covered, airtight tupperware in the fridge! They should re-heat just fine in the microwave… probably not quite as gooey and wonderful, but still good! Oh, I’ll definitely be trying these Jennifer! They look fabulous! Is there not a way to bake this in another pan? I do not have muffin pans. Hi Leigh! Do you have individual ramekins? Not sure this would bake up well in an 8×8 in pan! I made this and loved the flavor but it wasn’t gooey inside. I baked it 15 min. Any suggestions ?? Hi Shirley! Thank you so much! I’m guessing your oven runs hotter than mine, so just bake it less next time! Check it around 8 minutes and go from there 🙂 Did you use a jumbo muffin tin? The size of the dish will change the baking time as well. Hi Jennifer, I ran a test run this past weekend on my husband and he Loved them ! I want to make this for a work party so I want them Smaller. Should I follow the same recipe ?? Any changes I should make? Hi – Can’t wait to make these Lemon Cakes for my party. How much in advance can I bake them or should they be done closer to when guests arrive? These look amazing! They’re perfect for guests! Love lemon and white chocolate together too! Would a gluten free flour work for these? And if so what type would you suggest as a substitute. Any suggested substitutions for the white chocolate? Hi Bri! Hmmm I actually don’t. I’m so sorry! If you’re looking for another lemon recipe, I’d check out the Lemon Cake Parfaits. If you’re looking for another cake recipe, I’d look here. I hope that helps! Hi there! Can the white chocolate be eliminated from the recipe? I’m not a fan of white chocolate and wonder if I could just leave it out? TIA! I work for a fancy restaurant and would love to make these as a special one day. Would it be possible to make them and have the servers nook them before serving? Hi Christa! I wouldn’t recommend that as this is definitely best served right away. I can’t vouch for the results, but I think making the batter a few hours ahead of time would be fine. Cover them in saran wrap and place them in the refrigerator. Just be sure to take them out of the fridge about 30 minutes before baking so they come to room temperature. I know I’ve had lava cake at a restaurant before and they just tell you to order it when you order everything else so the kitchen can prep for that. 🙂 I hope that helps! The only jumbo muffin pans I have (which I just received as a gift) are silicone. Do you think they would brown just as well for the crispy exterior? They probably won’t be quite as crispy, but they’ll still be delicious. 🙂 If you’re worried about it, you could make smaller lava cakes in a standard muffin tin, you’ll just need to reduce the baking time (check at 8 minutes and go from there if using the standard muffin tin). I hope that helps!! I am definitely going to be making these! I don’t have jumbo muffin tins but I do have the ramikins. I read all the previous comments and do know that I need to adjust the baking time. My question is…you say to start with a certain time (which totally makes sense and I get how to adjust the time) but how do you check these of the inside is liquid. I’ve never made molten cake before and I am not sure! Thanks in advance. 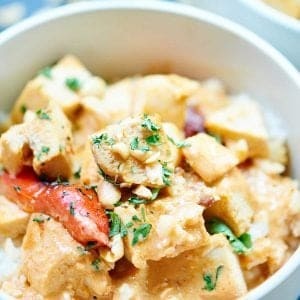 I love your recipes & have tried some that are amazing! I just took these out of the oven and they smell delicious! I baked them for 15 min and that seems about right. May try 14 min next time. The worst part was sifting the powdered sugar in a sifter not used since the dinosaurs and ultimately did not work. So improvising, I used a large sieve and a whisk to push it through. Hi Judy! Thank you! Ha! If you watch the video, you use a sieve for sifting, too! 🙂 Enjoy! Are you familiar with Demarle? It is a French bakeware company. They make Silpats and molds made from silicone and woven glass. I want to make this recipe in one of there 12 cup molds. If you are familiar with Demarle, let me know if you think it will work. Hi Cindy! I am! Those should work just fine! 🙂 Enjoy! What went wrong? They were great but the inside was cooked and not runny…. I don’t have a jumbo muffin tin, but I do have ramekins. Can these be made in ramekins? I made these tonight. They were awesome! They are not too sweet and have that tartness I like. My oven runs hot, so I only baked them for 13 minutes and they turned out perfect. I served them with a scoop of vanilla bean ice cream and fresh raspberries. Will definitely be making these again! If my oven runs hotter, how do i check to see if they are done sooner? This is the most DELICIOUS dessert I have EVER eaten!! My family fell in love with it. Thank you, thank you, thank you for this heavenly creation. I don’t like chocolate (I know, weird) but I LOVE all things lemon. You’ve just given me a chance to finally eat a lava cake – thank you!!!! I might use the leftover egg whites to whip up some meringue for the tops. I can’t wait to make these. Can you please give me the butter quantity in ounces? Being English I do not understand tablespoons! Very many thanks really looking forward to making these they look so yummy. Hi Pat! You can always Google “how many tablespoons = how many oz” for any recipe that you’re trying to convert! In this case, it’s 4 oz. 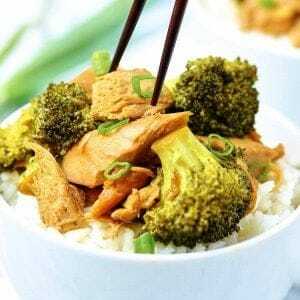 🙂 I hope that helps and I hope you love the recipe! This looks really good. Does the cooking time change if I make it in ramekins. I only have cast iron muffin tins. And, can you half the recipe safely? Hi Kimberley! I’d check the ramekins at the halfway time and go from there 🙂 Yes, you can pretty easily halve the recipe! Hi Jennifer, this is an amazing dessert. I have made these several times and everyone raves over them – in fact I’m making them for guests tomorrow evening! Many thanks. I used milk chocolate chips instead of white chocolate, and I added a tsp of lemon extract because I love strong lemon flavor. It was delicious perfection! Thanks! These look great! Can you make the batter earlier and bake later? Sure! I’d try maybe 2 teaspoons! Would LOVE to know how it turns out! Just made these……and help. I got the recipe from my friend making them but they did not turn out like hers. The tops were nice and brown but when I inverted them…..they all collapsed and fell flat……..more like a pudding……..they taste wonderful but are too runny to serve. What am I doing wrong????? How do you get the indentation all the way thru the center, as in the picture? Looks more like cooking them in a baked apple dish would produce the hollow center. Hi Linda! Not sure I understand your question? These are cooked in a jumbo muffin baking dish and there isn’t a hole (like a bundt cake), they just sink a bit when cooling, because of the molten center 🙂 I hope that helps!